Today we will discuss boat Motors. Or more importantly, why you should never put a powerful motor on a boat. Note Dad's head looking over the shoulder pose. 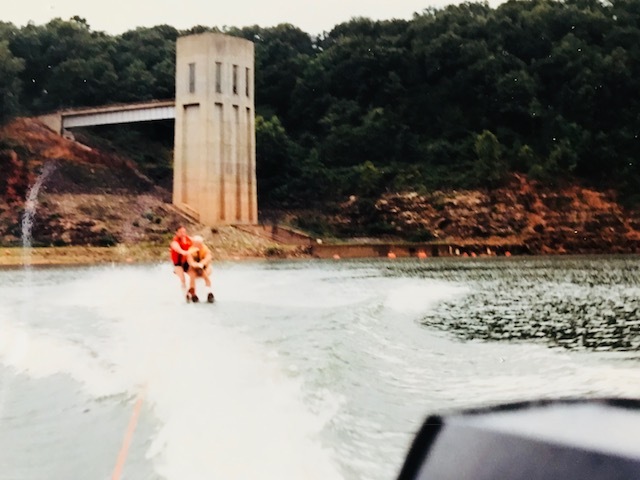 This is known as Ski Boat Dad Neck. Sailboats were those pretty things floating on the lake, owned by rich people and the only boats I knew were powerboats. Little run-a-bouts with a 65-85hp outboard. 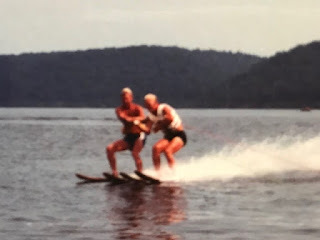 My uncle always had a boat and we were lucky enough to get rides on it from time to time. Once we kids were old enough, Dad bought one of his own. We would drag the boat to Lake of the Ozarks or Kentucky Lake and later weekly weekend trips to Lake Carlyle. 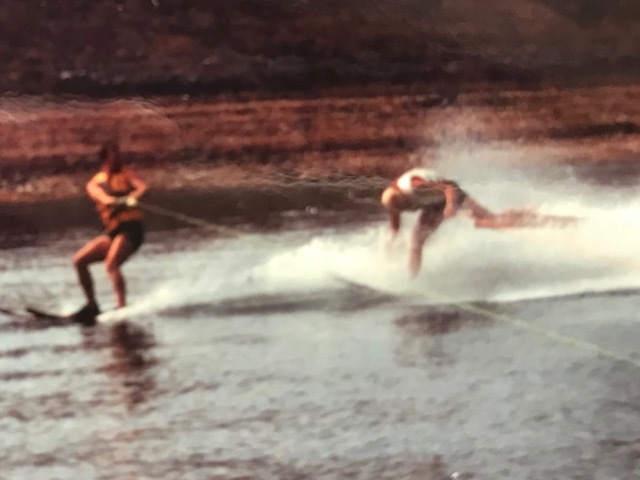 My sister and I took turns water skiing. 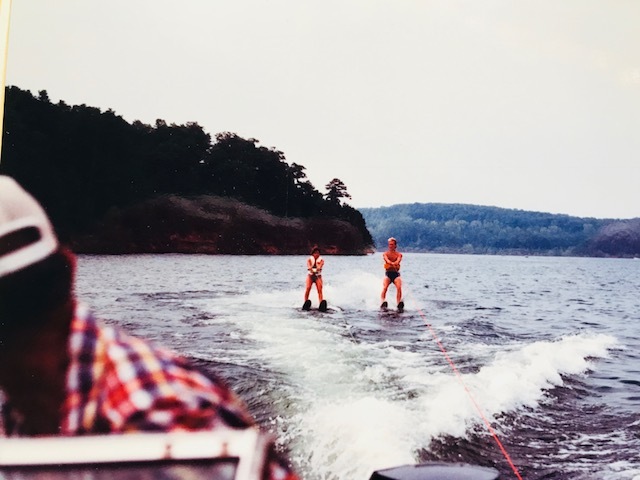 Me on two skiis, Sis sometimes on one. weekends culminating in the awesomeness that is 'taking the boat out' at 5pm, along with all the other boaters. 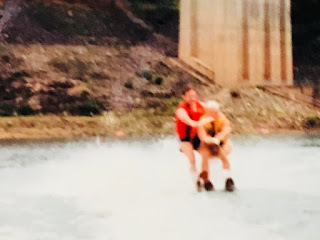 The anxiety I felt bobbing up and down on the boat as Dad got the trailer, watching other people jump the boat ramp line was overshadowed only by the hope that someone would forget to set their brake and back their truck into the lake with the trailer. Once Dad took the boat to the river and we got to go through the locks. Which was cool and slightly horrifying as the lock master wouldn't fill the lock for one measly powerboat so we had to wait for much larger boats to enter also. 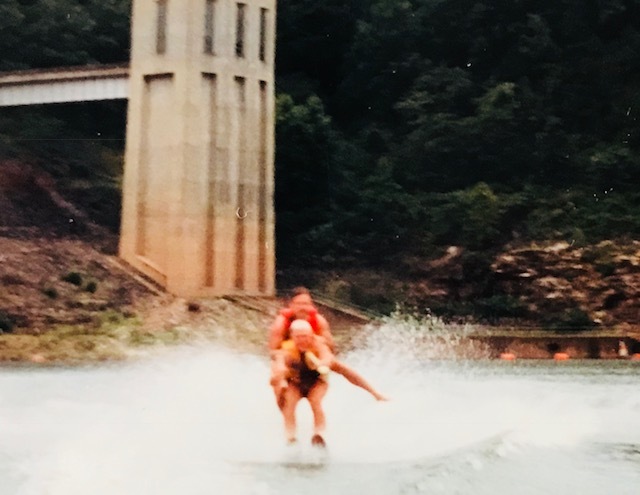 That was about as 'crazy' as our boating got. Enter Rob and his friends, who also grew up around powerboats. Sailboats, especially bigger ones, do benefit from a motor. It makes docking and dodging larger more expensive vessels so much easier. After our first ocean sail in the wooden boat, with a tide that was much more powerful than our sails, and oar, Dad gave us a small electric motor. This year the fixer upper is getting a brand spanking new propane motor. It is a mere 9.9hp motor. 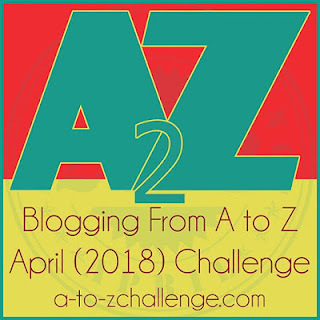 This is part of the A to Z blogging challenge. If you want to read more click here: a-to-zchallenge. I can't believe I have made it halfway through!! What fun memories, Laura! Those pics are great!